Microsoft has a very light patching month with only one bulletin addressing a critical vulnerability affecting Embedded OpenType (EOT) Font. This user-level, client-side vulnerability requires an attacker to trick a user into viewing a web page or open a file which contains malicious content. 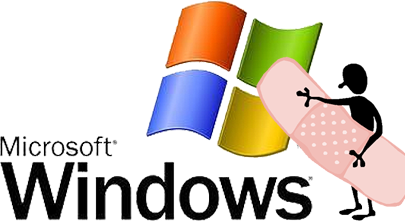 However, Microsoft isn’t the only one releasing patches. Both Adobe and Oracle are following suit this month. Adobe is releasing a security update addressing critical vulnerabilities in Reader and Acrobat. These security fixes are addressing zero-day vulnerabilities that have been exploited in-the-wild since being made public on December 14, 2009. · Install vendor patches as soon as they become available after proper testing in a test environment before applying to a production environment. · It is important to run all applications at the user level (least privileges) and only run the administrator account and as a privileged user to maintain functionality of the machine as needed (i.e. When needing admin privileges to install an application, a user can use the RunAs function to quickly switch to Administrator privileges while logged into a lower-privileged user). · Users should avoid downloading files from unknown or questionable sources - whether an email with attachment from an unknown sender, downloading from questionable website, or using flashdrive media where the integrity of the drive such as the drive's origin is in question. · Block external access at the network perimeter to systems until specifically required. A remote code execution vulnerability affects the Embedded OpenType Font (EOT) engine when decompressing files and content containing embedded fonts. An attacker can exploit this issue by tricking a victim into opening a malicious file, or viewing a Web page containing malicious content. A successful exploit will result in the execution of arbitrary attacker-supplied code in the context of the currently logged in user.